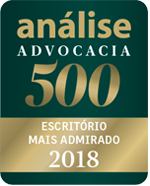 Founded in 2006, PLC Advogados relies on a carefully selected team of lawyers with high degree of specialization, expertise and experience in their specific fields, nationally and internationally. Its offices are located in the cities of Belo Horizonte, State of Minas Gerais, Fortaleza, State of Ceará, Manaus, State of Amazonas, Rio de Janeiro, State of Rio de Janeiro and Sao Paulo, State of Sao Paulo, and provide legal services related to several business sectors throughout Brazilian territory in an all-encompassing way. Based on solid values, the main commitment of our staff has always been to understand the cultural background and needs of each client to offer effective, straightaway and full services according to our high standard of excellence, which’s required to attaining the most expectedly expedient results.